"Do not ask me to get done now the fourth Grand Slam series. It will be difficult to win in Australia. There are many candidates. 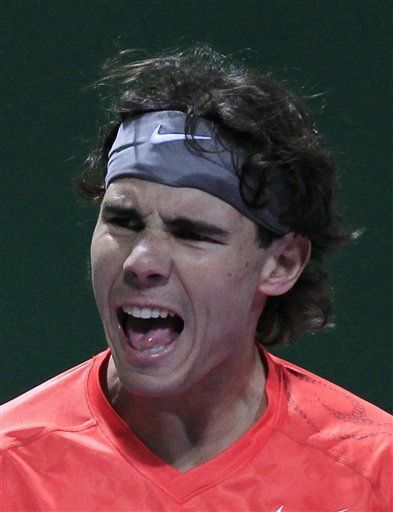 Then we'll see, "Nadal said after being crowned champion in Abu Dhabi. Nadal said then that has no pressure to become the successor to the Australian Rod Laver, the last player to win four consecutive Grand Slam tournaments, although in his case, "Rocket" did made in the year 1969, which no one has repeated. "It will be a tough season with rivals such as Federer, whom I wish you the best this year. It will be tough for everyone and I hope it's good for me. Health is the most important thing for me and for all. Without it all other things are impossible, "said Nadal.